When I read Georgina’s article, I thought: this is a book I have to buy. I haven’t read any detective novels since George Simenon died but I have lived in the Baztan valley where the novel is set, and I can use it to improve my Spanish. So I wasn’t particularly looking for a good tale. Yet I finished the 436 pages in five days. I had a dictionary by my side but I didn’t look up all the unknown words: I didn’t want to stop reading. The story. Following a rather peculiar murder, police inspector Amaia is put in charge of the enquiry because she was born in the valley. She and her American husband move back in with family but things are not straightforward. Old tensions resurface and as the enquiry progresses the skeletons in the family cupboard are brought to light at the same time as the bodies by the river. The Invisible Guardian is great crime fiction, but more than that. 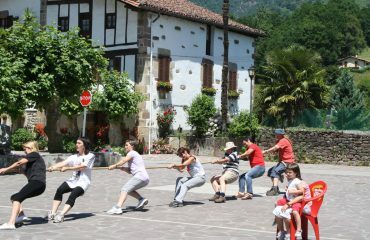 It is also a picture of a little-known part of Spain. This is not the identikit Spain of sangria and flamenco. Nor is it the Spain of mass youth unemployment, evictions and botellón. 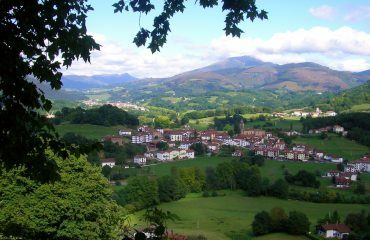 This is the Basque Pyrenees: green rolling foothills, 400-year-old stone houses and a tight-knit farming community. Is there an invisible guardian in the woods? 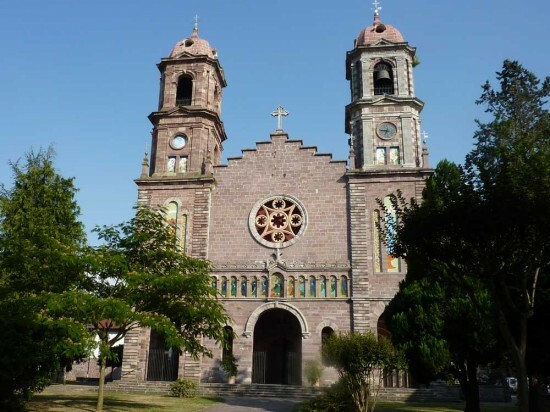 Living there in 2010, it seemed that little had changed for centuries but, despite the apparent stability, there were tensions; the kind of generational conflicts which surfaced elsewhere in the 1960s didn’t seem quite resolved. 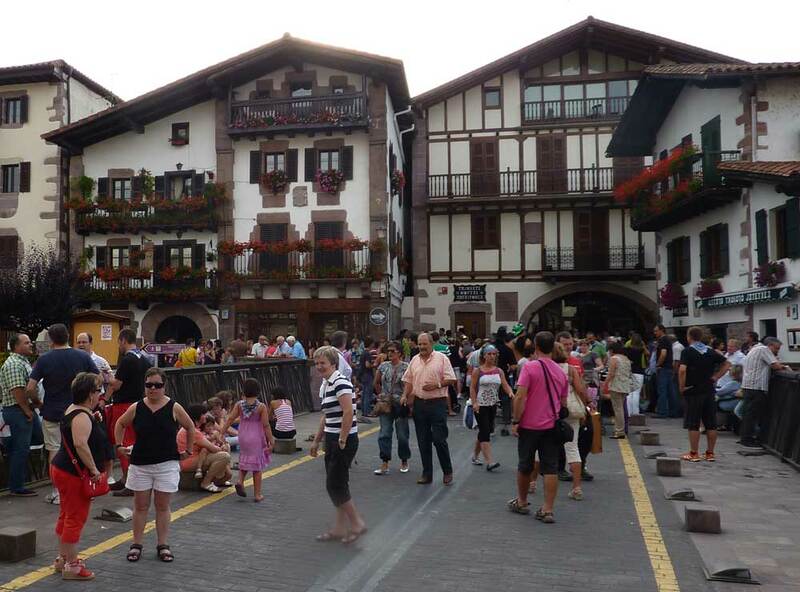 I was last in the Baztan in 2012, arriving accidentally for the annual fiesta of Elizondo, the only town. The teenage girls were still whirling through the traditional dances, though preferring tea towels around the waist to skirts. 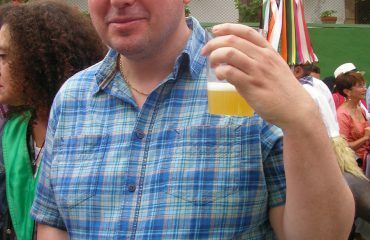 The men’s mutildanzak was still going strong but the new female mayor scandalised traditionalists by participating. But tradition was not being eroded everywhere: the street-corner vending machines sell milk from local dairy farms instead of the ubiquitous Coca-Cola to be found in other towns. The Baztan is beautiful but enigmatic and Dolores Redondo has made it central to the intrigue, which is why the book is more than just detective fiction and why it deserves a wider audience. 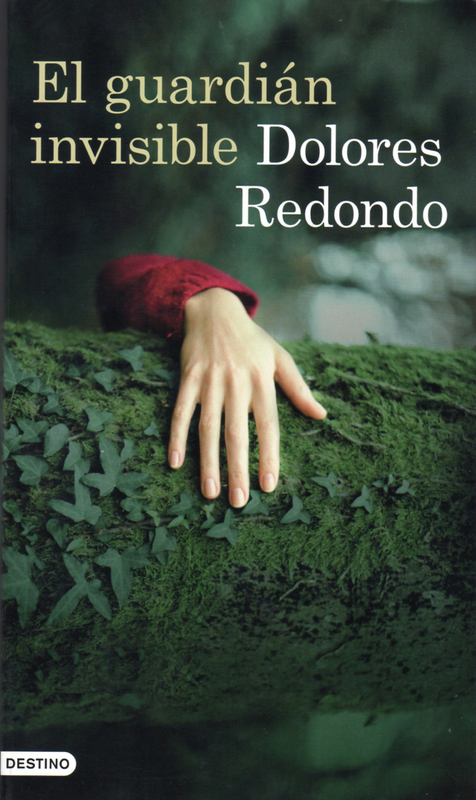 The English edition of Dolores Redondo’s The Invisible Guardian will be published by Blue Door on 24 April 2015. 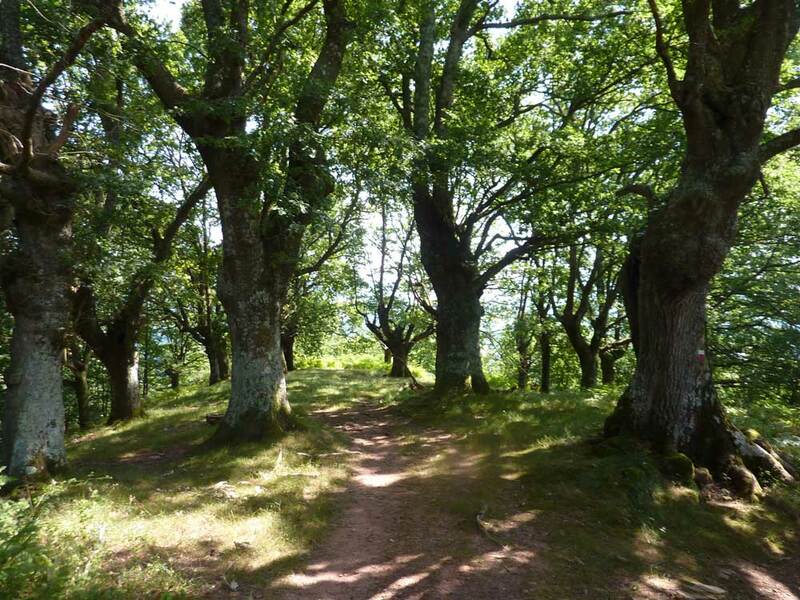 Steve has a blog on walking in the Pyrenees and has written a book about the French Pyrenees and the GR10.